Read what some of our parents have to say about their experience at Pinewoods. The moment we visited the classroom for the first time my (very) active 2.5 year old became calm. The teacher asked his name and invited him to join the lesson. The level of respect for each student continues to amaze me. Please make time to visit, you won't regret it. Pinewoods Montessori School is the best kept secret in Orange County. Our oldest son started at Pinewood's Montessori Extended Day program at 5 years old. We have chosen to continue his education at Pinewoods because of the access to education, knowledge, and learning every day tools to help him regulate his emotions and encourage his desire to learn. Our son has had some struggles in a learning environment and the Pinewoods Teachers and staff have all given time, care, and flexibility to work with finding approaches and tools that help him learn better and help him become more adapted to social situations. I feel very lucky to have found Pinewoods and wish we had earlier. I just want to share my experience with Pinewoods Montessori School. My son attended Pinewoods for preschool and kindergarten (2 years total). He went from not speaking full sentences, not being able to dress himself, not even picking up pencils/crayons, not acknowledging other children, and not potty trained (at 4 years old), To reading, writing, being able to tell a story, being self-sufficient, and having lots of friends. All in two years time. The transformation has been amazing, and I know without a shadow of doubt that he would not have come this far without Pinewoods Montessori School and the love and care that Miss Jennifer and the other teachers give. The Montessori approach was a key part of my son's growth- the way they focus on real-life skills and work with the child on their strengths was vital to his success. I HIGHLY recommend this school to anyone and everyone. I come from a long line of educators and education has always been regarded as essential, lifelong, and significant. When my husband and I started to think about school for our first child, we knew we wanted her to have a preschool experience. So many friends were choosing play-based programs, so I made the rounds at some very reputable schools. While they looked delightful and fun, I left wondering why they did not embrace a child's natural desire to learn. Why children really we not given the opportunity to explore numbers or words or complex questions at an early age. And then I came upon Montessori philosophy. Their approach to education allows children to adapt their learning environment to meet their own needs, regardless of the level of ability, learning style, or social maturity. Children are inherently curious. They constantly seek answers to their never-ending questions. And a Montessori education supports this curiosity and satisfies their desire to learn, both academically and socially. I looked at several schools in the area. When I observed a Pinewoods classroom, it just felt right. The energy in the room was calm, the children were happy, and the teacher was actively engaged with all the students. Since our daughter has been a student at Pinewoods, I have been repeatedly impressed with her growth, both academically and as a person. Her teacher really knows her- both her strengths and weaknesses, and works to foster her development. She is happy and thriving. I know we made the best decision that will lay a solid foundation for the rest of her lifetime of learning, both in the classroom and beyond. Our daughter absolutely adores Pinewoods, and she has grown so much in the not even two months that she has been there. The teachers are so wonderful with her, and we are so glad she is there! In my daughter's classroom, there are no orderly rows of dozens of desks. There is no massive chalk board. And there is no teacher standing in the front of the room trying to talk over a group of children and instruct them in one activity. That might mislead a person into thinking there isn't serious academic work going on. Because there is. Instead, the teacher is in and among the children, speaking softly and kneeling next to them. And rather than squirming in one of those orderly desks, my daughter (who is not quite 4) is sitting quietly on a rug on the carpeted floor, working with beads or blocks or tracing and stacking or even sewing or painting. Or she is working with a friend, sorting colors or reading about leaves. But above all, she is learning. Everyday, she learns something new and amazing that I would never think a not-quite-four year old would learn. Then she comes home and points out Australia on a map and informs me that the spiky Styrofoam ball full of toothpicks that she made that day is actually a sea urchin. We have thoroughly enjoyed having Pinewoods jump start our daughter's imagination and her education, and truly appreciate the community it has invited us to be a part of. Now that we moved and have been in 5 other schools among our three children, now I understand how much we left. Pinewoods is a gem, unmatched by a long shot. We are so thankful we started here. Pinewoods Montessori provides an AMAZING experience for each child! The teachers are excellent and they really care about the education and development of the children. The individual approach and caring environment give every child the chance to blossom. My children - preschool and elementary age- are thriving in this school. They are thriving not only academically, but socially and emotionally as well. Our son and daughter have grown up with Pinewoods from pre-primary through extended day and now into the elementary program. We have been so impressed with their academic as well as personal growth through the entire experience. Their reading and math skills are well above average and I think it has everything to do with the Pinewoods education. They are both very curious and excited to learn. Ms. JoAnn creates and environment that makes learning an adventure for the children. I get the biggest kick out of hearing about my son's 'research' into animals or the layers of the oceans. I suspect most children don't even know the word research and the Pinewoods children are fully engaged in their own version of research into the unknown (at least unknown to them and sometimes to us). During the presidential election last year, my son was in JoAnn's elementary class and could tell me who the candidates were and an amazing amount about both. I dare say more than the average citizen. He knew when the election was and we had to stay up and watch the results. This was from a 6 year old! It is just amazing how much Ms. JoAnn is able to accomplish with these young minds. Finally, Ms. JoAnn is truly something special. Total dedication is the only way I know how to describe her. Anything else wouldn't do her justice. I absolutely love the creative ways that the elementary teachers engage and excite my son's desire to learn. One recent example was reading. In an attempt to increase the children's interest in reading, book clubs were created within the classroom. The book that my son read was very challenging and required that he use a dictionary to understand some of the vocabulary. To demonstrate their reading comprehension, each group developed a skit to "act out" the story line from their book. The children had so much fun and my son actually incorporates his new vocabulary in everyday activities and cannot wait to finish his next book. 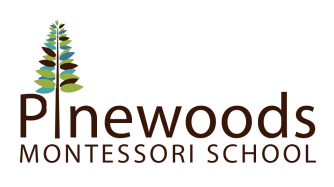 Pinewoods Montessori is a wonderfully rich, nurturing environement for children. The teachers provide individualized attention in all programs, and the children are taught not only academics, but kindness and respect for self, others, and the world. I currently have pre-school and elementary children and Pinewoods, and plan to keep them there as long as possible- it really is that good! !